Do you wonder if you should be taking a daily multivitamin? A recent series of three studies published in the Annals of Internal Medicine December issue explore this very question. These studies examined the potential benefits of taking a multivitamin in adults who have no nutritional deficiencies and are considered well-nourished. One article pooled data from three clinical trials of more than 400,000 participants taking a daily multivitamin. The researchers found there was no reduction in risk of cancer, cardiovascular disease or all-cause mortality in those taking a multivitamin. The second article looked at whether taking a multivitamin in men over 65 years prevented cognitive decline. There was no apparent benefit in the multivitamin group over placebo. The last study reviews high-dose multivitamin use in patients who have had a previous heart attack. The results showed there was no difference in recurrence of heart attack in those who took the supplement versus those who did not. These results as well as other research have prompted some medical experts to argue that multivitamins should not be used for chronic disease prevention and consumers are wasting their money on multivitamin supplements. 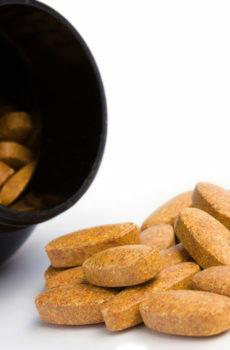 In our opinion, these studies help to clarify our expectations from multivitamin supplements. If you eat a well-balanced diet then you should not expect your multivitamin to prevent chronic diseases such as cancer or heart attack. It is important to keep in mind that with our busy lifestyles and changing food manufacturing practices we may not always get the nutrients we need from our food. The role of a multivitamin should be to ensure you get adequate vitamins and minerals during those times you are not eating well. Vitamins should never be considered a substitute for good nutrition. Furthermore, these studies highlight that there was no harm in taking a multivitamins in most patients. Those with a family history of cancer or who smoke should avoid vitamins with β-carotene, Vitamin E and high dose Vitamin D. These studies for the most part investigated multivitamin supplementation rather than the benefits from specific vitamins or supplements. Many studies have shown potential benefit from taking supplements such as Vitamin D reducing the risk of cancer. We should not conclude that all supplementation does not provide health benefit. The original research and editorial was published in the Annals of Internal Medicine December issue.